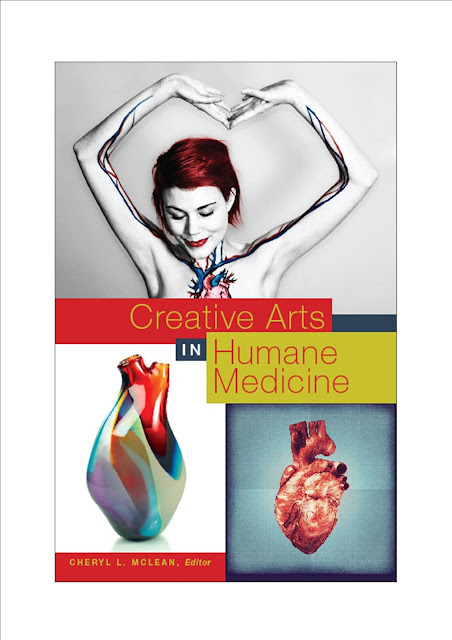 Creative Arts in Humane Medicine, Editor, Cheryl L. McLean, Published by Brush Education, is a resource book for medical educators, practitioners and students as well as those in the allied health professions who wish to learn how the arts can contribute toward a more caring and empathic approach to medicine. In this collection, which features the latest research and real life examples, physicians, medical educators, researchers and allied health professionals, as well as medical students, residents, artists and others across Canada, the United States, United Kingdom and Australia show how the arts in action can contribute toward humane medicine. To be humane is to show empathy or understanding and to care about the condition and suffering of others, to treat others as we ourselves might wish to be treated. The word medicine itself is from the Latin “ars medicina” refers to the art of healing, the practice invested in the treatment and prevention of illness. Humanistic Medicine is a growing trend today as more medical professionals integrate the arts into their practice to improve communication with their patients and build better relationships. A recent study found that close to half of all medical schools in The United States involved the arts in some form in learning activities(Rodenhauser, Strickland, & Gambala).This survey showed that the arts are used to foster student well-being, enhance teaching and learning, and improve clinical and relational skills,for example, observation and diagnostic skills, reflection and insight. There are other encouraging signs that the arts are alive and thriving in medical education today with programs integrating the arts and humanities into medical education and leading medical schools and universities offering more programming to promote creative and scholarly work at the intersections of the arts, humanities and medicine. One Canadian effort, the Medical Humanities HEALS Program at The Faculty of Medicine, Dalhousie University, offers programming in visual parts, performing arts, the history of medicine and creative writing. Another, The Arts and Humanities in Health and Medicine Program at The Faculty of Medicine and Dentistry at The University of Alberta, launched in May 2006, has a mandate to balance scientific knowledge and compassionate care. Its mission statement formally acknowledges “the explicit recognition within the Faculty that clinical practice is both an art and a science”. At The University of Toronto, the Undergraduate Medical Education (UME) program, has begun to integrate different types of narrative systematically into the curriculum with a new companion curriculum. At Yale School of Medicine, The Yale Medical Humanities and the Arts Council reports it is committed to fostering the use of the humanities, social sciences, and the arts as a lens for examining issues in health, medicine, and healing. Arts and Humanities at Harvard Medical School aim to promote the role of the humanities in medical education, clinical care and research. Stanford School of Medicine, Arts, Humanities and Medicine, has been established to promote creative and scholarly work at the intersections between the arts, humanities and medicine. 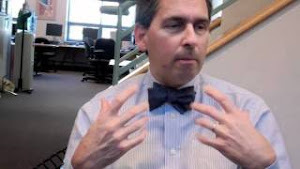 I was recently a guest presenter for a webinar for The American Medical Student Association’s Medical Humanities Scholars’ Program. During the session a student asked, “If this work (about the creative arts in medicine) is frequently about empathy and feeling the human story, how much empathy is too much empathy? What if I can no longer bear it?” The student asked me a very difficult question, one not easy to answer. Our creative work is powerful and profound in the way it frequently uses all the senses to foster empathy and draw us closer to human understanding, but what are our human limits? If I were in bed, ill and fighting for life, I asked myself, how much empathy would I hope my caregivers would extend to me? When would enough be enough? This collection raises provocative questions and proposes alternative approaches in the hopes of inspiring new areas of investigation while opening up a larger conversation about the creative arts in medicine among students and medical practitioners. The book, Creative Arts in Humane Medicine has been divided into four distinct and related sections. Section 1, “Educating for Empathy through the Arts”; Section 2, "The Arts in Medicine and Practitioner Self Care" ; Section 3, "Navigating with Narrative Through Life Experience" ; and Section 4," The Creative Arts in Action for Change in Health". “It is not easy to go to work every day and care for people who hurt themselves, are going to die, cry on your shoulder, feel terrified or distrust the health care system…The arts and humanities, with respect to medicine, are about understanding how humans experience illness and disease and placing that within a context of diagnosis, treatment and care”. The section’s closing paper by researchers Mina Borromeo, Heather Gaunt and Neville Chiavaroli, from the Melbourne Dental School, explores the visual arts used in education for increasing observational skills and understanding as students are guided through the rediscovery and re-appreciation of human responses as it applies to Special Needs Dentistry. In Section 2, The Arts in Medicine and Practitioner Self Care, we examine some of the daily challenges of working in medicine and the human realities of illness, disease, aging and death and how the arts can offer healthy opportunities for practitioners to deal with stressful situations while addressing their own self care needs. Alim Nagji MD, who is also an actor, producer and writer, stresses that teaching people to understand their patients stories must begin early in their training before the erosion of empathy. Nagji believes using theatre in medical education for “performative reflection” can help students delve into the character’s back stories drawing parallels between those experiences and their own. In the article that follows, Maura McIntyre’s arts informed research, part of the growing genre of performance ethnography, offers caregivers and others an opportunity to participate in reader’s theatre so that they might experience real stories of nursing home life. Craig Chen MD informs us about the importance of providing health professionals and others a place for self expression through varied forms of performance. At Stanford, medical students had a vital opportunity for expression and community connection through performance while audiences learned more about what it is like to work in the field of anesthesiology. In the next article, Rachael Allen, an Artist in Residence (AIR) at university anatomy and clinical skills laboratories in the North East of England, writes about her work witnessing students engaged in lab work with prepared prosections of embalmed and plastinated specimens and believes it is fundamentally important for health and humane medicine that students working in anatomy labs are offered opportunities to express these intimate human encounters through art. Allen offers new and sensory approaches to anatomy and clinical studies while artistically rendering the undergraduate experiences of medical students. Forms of art therapy for caregivers and varied modalities for healing are also discussed in this chapter. Music therapy has long been recognized as being effective for self expression and healing and, as Amy Clements-Cortes demonstrates in her article, music therapy in many forms can also help address stress and other issues for those working in palliative care settings. In other programs expressive approaches have also proven useful for healthcare practitioners as is presented in the article by Diane Kaufman, MD and her team at The University of Medicine and Dentistry of New Jersey. Contributors present personal stories and engage with narrative in Section 3, Navigating with Narrative Through Life Experience, as well as demonstrating the applications of literature in medical practice. Dr. Rita Charon, a leader in the field of narrative medicine, has long advocated for the use of the narrative in medical education. Each of our contributors navigate with narrative or use story in uniquely different ways, however, all writers in this section share in common an underlying belief about the humanity and dignity that can be found through fostering the practitioner patient relationship. 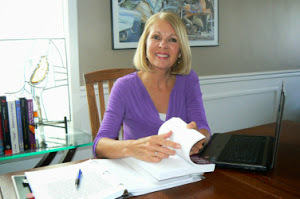 Jasna Schwind, a nurse educator, writes about her work, informed by narrative inquiry while sharing aspects of her own illness story to demonstrate how intentional and thoughtful reflection allowed her, as both patient and caregiver, to make sense of the experience. Narrative and poetic inquirier, John J. Guiney Yallop, writes in the article that follows, about his lived experiences over time with medical practitioners and, in so doing, poignantly illustrates the importance of the relationship between practitioner and patient. Catherine L. Mah, MD, FRCPC, PhD a scientist, practitioner, researcher, and teacher discusses in her article the uses of literature and the childhood novel in pediatrics practice suggesting the approach may help establish a foundation for narrative examination in the one on one interview. In Section 4, The Creative Arts in Action for Change in Health we embrace change and the future opening with an exploration by Louise Younie, a Clinical Senior Lecturer, Barts and The London School of Medicine and Dentistry, who writes about her journey of discovery through arts based inquiry and considers the transformative influences of the arts in medical education as well as within her own work. In the next chapter Canadian activist artists Carole Conde and Karl Beveridge are featured demonstrating the arts in action for change and the power of story and photography to touch people and advocate for humanity for those who work in healthcare settings. Bandy X. Lee MD at Yale University believes that today there is a great need for collective and emotional healing. She reports The World Health Organization has noted that health is not just the absence of disease and, in terms of change, effective violence prevention may be the key to health and human flourishing and creativity. Louise Terry PhD PGCHE LLB illustrates how digital stories and technology can help teach ethics and law to health and social service professionals while contributing to humane medicine. 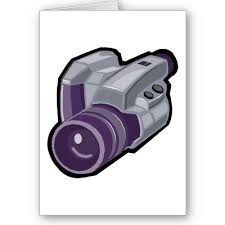 Visual and audio technologies, she suggests, help realize and bring to life our human stories complete with actions, omissions, aspirations and values. Our chapter closes with an exhibit from the heart as medical and fine arts students from The University of British Columbia, Canada, reach out and build bridges to understanding health and the heart while connecting to communities through the visual arts. This is an educational book in which, through creative processes, we feel the human story, touching the heart of what it is to be human in others while attentively loving and caring for ourselves…not only surviving but thriving as humane practitioners in our lives and work. I invite you, through this book to read, to engage and to actively learn through these chapters about the creative arts in humane medicine. I believe you will find, in keeping with the embodied nature of our field, each article unfolds in its way as a story, a revealing performance about life, a creative act within itself. The book, Creative Arts in Humane Medicine will be released October 2013 and can be ordered through Brush Education. Heartfelt thanks to a creative team!